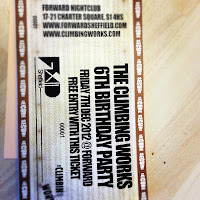 It is 6 years since The Climbing Works opened its doors to a Sheffield climbing scene that wondered how a bouldering only centre would do. Read our opening day blog from Dec 2006. At that time there was 1 other bouldering only centre in the U.K. Fast forward to today and there are 20+ dotted around the country and our aim is, as it always has been, to be the best bouldering centre in the World. 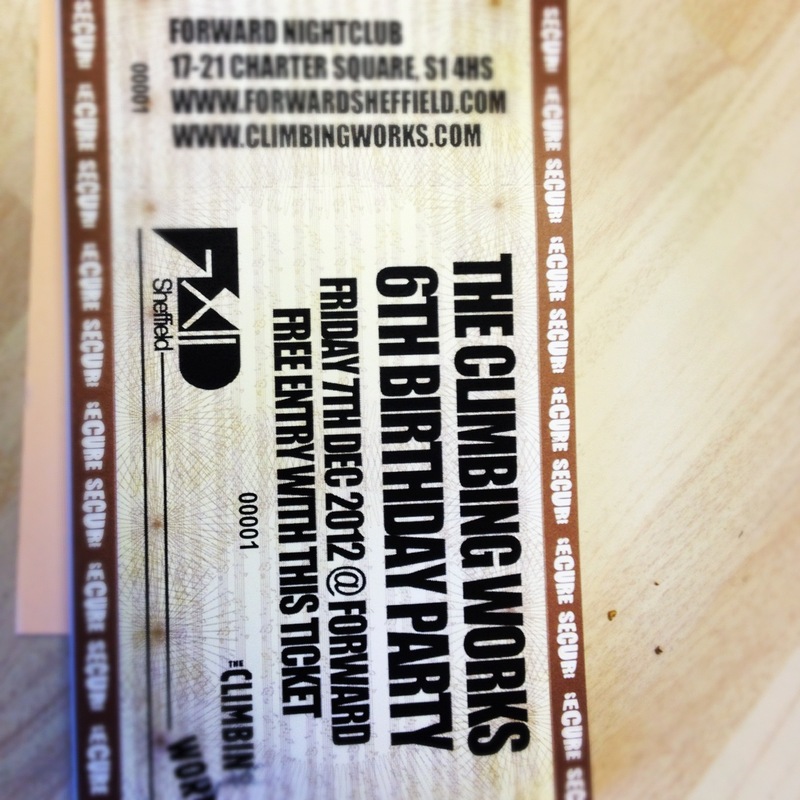 One other thing we try to be the best at is throwing a birthday party. 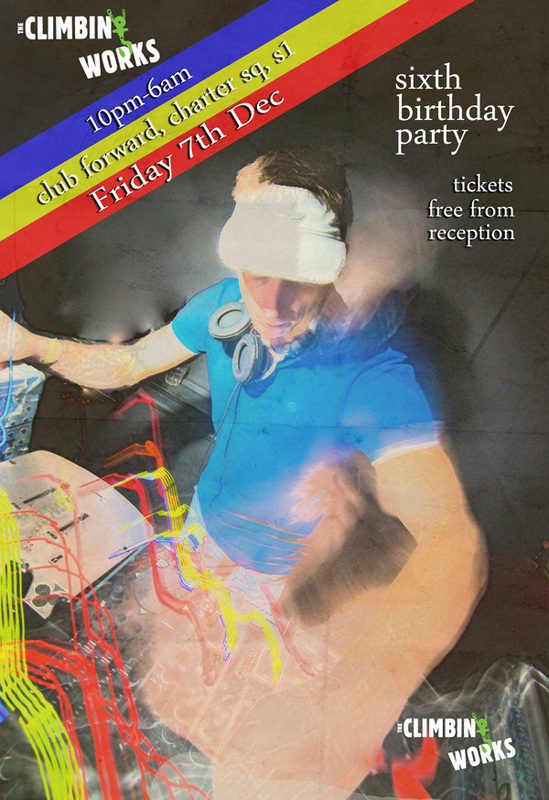 This year we are once again returning to Club Forward in Sheffield city centre, venue of our 5th (and best) birthday, on Friday 7th Dec. We'll be going bigger and better this year with longer opening times (10pm-6am) and more DJ's. Tickets are now available at reception and in one day we've already given away 1/5th of them. They are FREE but we are giving away a maximum of 4 per person as we don't want to see any to go to waste. If you end up with too many, please return them to reception as we had disappointed people last year. The original tour in 2006 before the place was finished. Doesn't Sam look young! !